Being overweight or obese can not only be restrictive but dangerous to your life. Losing the surplus weight (more weight than needed according to her BMI) for a woman becomes important in order to be safe from any life threatening diseases and also to make her pregnancy and labor an easier process. Heart ailments: Heart attacks in women may be unheard of but overweight or obsess women put themselves at grave risk for heart diseases. The heart has to pump more blood and work harder in order to sustain an overweight body making it susceptible to problems. High blood pressure and cholesterol problems: Being overweight means more LDL or bad cholesterol which can clog your arteries and invite various problems. While losing the excess fat can increase your HDL levels or ‘good’ cholesterol. Type 2 diabetes: Diabetes and excess weight has a close relationship. An overweight woman during her pregnancy is more likely to suffer from gestational diabetes and increase her chances of developing type 2 diabetes in future. 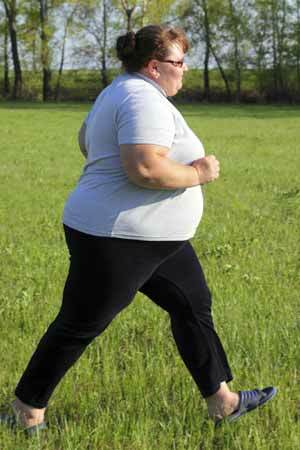 Cancer: Overweight women naturally have more intake of fat in their daily diet. Excess of fat in the body or being overweight can give rise to certain cancers in women such as breast cancer, ovarian and cervical cancer. Liver problems such as enlargement of the organ or fatty liver. Heart burn or acid reflux disease: Obesity increases reflux because abdominal fat puts pressure on the ring of muscle at the bottom of the oesophagus – the 10-inch tube connecting the throat to the stomach – which normally prevents stomach acid from flowing back. Arthritis: Osteoarthritis is one of the common types of degenerative disease in women and is found more in overweight women. Your knees and hips bear your complete body weight and any excess pounds add to the pressure and stress they can withstand. Overweight women suffer from excess wear and tear of the joints which can make them susceptible to fracture and affect mobility. Gallstones: Being overweight and the incidence of gallstones seems to have a link. Respiratory problems: Obesity causes sleep apnea, which causes people to stop breathing for brief periods, interrupts sleep throughout the night and causes sleepiness during the day. Problems in reproductive health: Having an ideal body weight increases chances of conception and does not cause any fertility related problems. Excess of body weight can make labor and childbirth difficult and prone to complications. Psychological problems such as negative self-image or extreme self-consciousness: Obese persons are dissatisfied with their body and remain dissatisfied even after having lost weight; They more often tend to overestimate than underestimate their body size. The main treatment for obesity consists of dieting and physical exercise. Diet programs may produce weight loss over the short term, but maintaining this weight loss is frequently difficult and often requires making exercise and a lower food energy diet a permanent part of a person’s lifestyle. Read more articles on Weight-loss Tips.